Until recently, I’d read very little of the most read, most influential book of all time. The Bible has affected the world for centuries in innumerable ways. Look in art, literature, philosophy, government, philanthropy, education, social justice and humanitarianism – seek and you will find its influence there. Take these common phrases: “a drop in the bucket”, “the handwriting was on the wall’, the “straight and narrow”, even “out of the mouths of babes”. Not Shakespeare. The Bible. Even though Shakespeare does have more than 1200 references to Scripture in his works. Having tonight re-watched Star Wars, I was reminded of the biblical allegories around us. Without The Bible, there would be no Narnia or Lord of The Rings. Alcoholics Anonymous and Harvard University found their roots in The Bible – with Harvard (not AA, that I’m aware of) delivering notable alumni such as Bill Gates, Matt Damon, Mark Zuckerberg and Franklin D Roosevelt. All from Puritans settling Boston and making plans for the establishment of a college to train ministers of the gospel. I wonder how the Puritans are feeling about Facebook today? And as for music? Well, I feel a bit sorry for Christian Rock Bands. Obviously lots of biblical references, but the whole attraction of rock is because it’s meant to be rebellious. Think of The Rolling Stone’s Sympathy For The Devil. Catchy. Yet it can work. 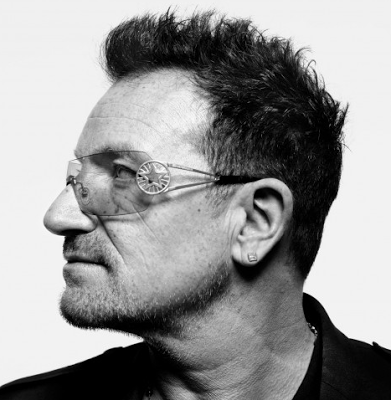 Look at Bono, who threads biblical references throughout U2 lyrics. And if he’s not taking inspiration from the written word, his faith weaves throughout their music. U2 flowed into my consciousness in the 80s and never really left, accompanying me through teenage angst and out the other side. Live Aid. Camping (umm.. trespassing) in a farmer’s field in Cork, Ireland, before the ZooTV live show. Fuelled by the irish greats Guinness and Tullamore Dew. An accident waiting to happen. How about you? What song moves your soul? Which lyric makes you wonder, “Why am I really here?” And have you ever had a brush with the law to get into a concert? ← Would your marriage survive another man in it?